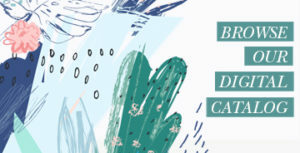 A Note from Kelly King: I’m excited to introduce you to a new blog contributor, Bobi Ann Allen. You’ll be hearing from her over the next four Mondays, and I’m grateful for her encouragement today to always focus our ministry on the Lord and not ourselves. We must all embrace the role God has given each of us with humility. John the Baptist was a fascinating character in Bible history. He entered the scene as Heaven’s anointed spokesperson after more than 400 years of silence from God. His role was to introduce the world to Jesus—to prepare the way. However, John was a curious choice as the pre-show for Jesus. There was nothing trendy or endearing about him. His hygiene and diet were bizarre, and he didn’t play well with others. John the Baptist didn’t grasp the concept of networking in his field. When other religious leaders approached to observe him in action, he accosted them by calling them names and condemning their efforts of self-righteousness. In today’s ministry circles, I question how John the Baptist might be received. He was abrasive, awkwardly dressed, and yet, his ministry was booming. John’s message was one of repentance and Matthew 3:5-6 tells us people responded. Then people from Jerusalem, all Judea, and all the vicinity of the Jordan were going out to him, and they were baptized by him in the Jordan River, confessing their sins. It was illogical how an unconventional man would attract and grow such a large tribe. Divinely, however, John the Baptist’s mission was carried out because he understood and executed the key component of any ministry by humbly embracing his role and purpose in the building of God’s Kingdom. John the Baptist’s job wasn’t to build a following but to convey a message. At no point was John going to rescue the world from sin. As leaders, we build teams, develop programs and communicate vision all with the goal of spreading the message of hope and grace through Jesus. Yet, there is a constant temptation, when left unchecked, to proclaim a message about Jesus while building a ministry about ourselves. Remaining on guard. The enemy knows where we are vulnerable. If we don’t remain diligent and attentive, we won’t notice unchecked motives. This involves intimate times of confession and communication with God. Not doing it all. When we hold tightly to all the little parts of ministry, we make it about an individual style (ours) and less about the reflection of Christ through His church at work. Making room for God to move. You aren’t equipped or called to rescue anyone from sin. God alone has the power to change hearts and draw people to Himself. Give God room to do His work. Let God have the spotlight. Focus on the message, not on your popularity. John the Baptist offers us a model of ministry that makes the goal, purpose, and motivation of our ministries to be Jesus elevated above everyone and everything. Be led by God’s Spirit as you speak, plan, and develop your ministry. Bobi Ann Allen is a pastor’s wife, mom, and ministry leader. 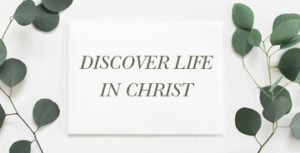 She is the author of the Jesus, Our Joy Bible Study and the Home Family Devotional. Raised in a small east Texas town, Bobi Ann now calls central Texas home. 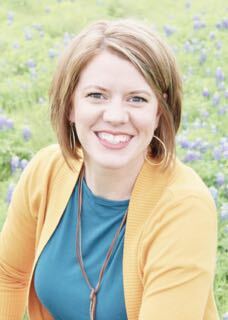 A graduate of Liberty Baptist Theological Seminary with a master’s degree in Christian education, Bobi Ann has also served on church staff ministering to women. 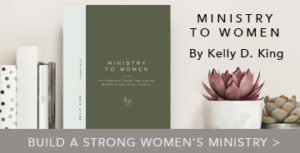 She finds her greatest passion in ministry to be opening the Word with women and allowing the Holy Spirit transform hearts—including her own. She spends her days folding underwear, unloading the dishwasher, and hunting for her people’s lost stuff. You can find more from Bobi Ann on her website, bobiann.com, and by following her on Instagram @bobiann.